Analogue line generators capable of treating cells of any size. 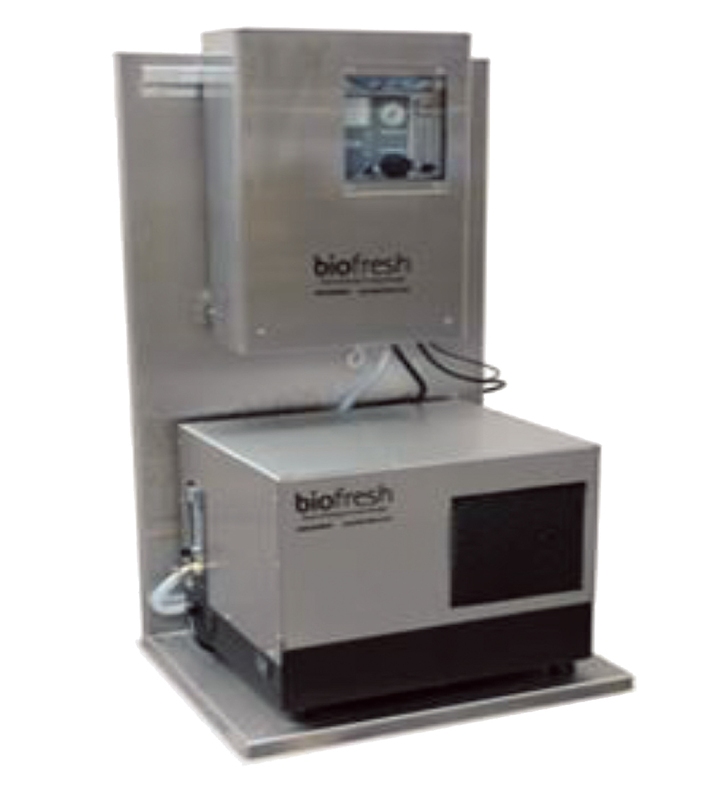 Biofresh Ozone generators are combined with oxygen concentrators. The units are constantly monitored by sensors installed inside the cold room, which maintain the correct concentration of Ozone as well as ensuring health and safety standards for operators working in the cold room. The systems are secure and reliable with minimal maintenance requirements.